8 oz. decadent body butter for maximum moisturization. 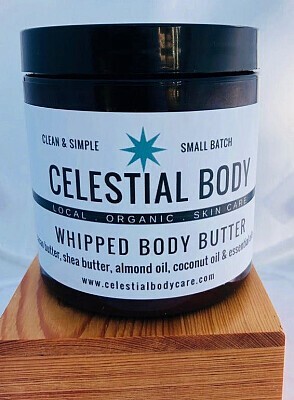 Goes on smooth, and sinks right into skin, penetrating deeply and nourishing with plant-based, high-quality, organic butters and oils without anything harmful. Ingredients: coconut oil (Cocos nucifera), raw cacao butter (Theobroma cacao), shea butter Vitellaria paradoxa), almond oil (Prunus dulcis) and essential oils. Just Butter is unscented and fragrance free.